I'm not sure why I didn't mention it before but I've moved! 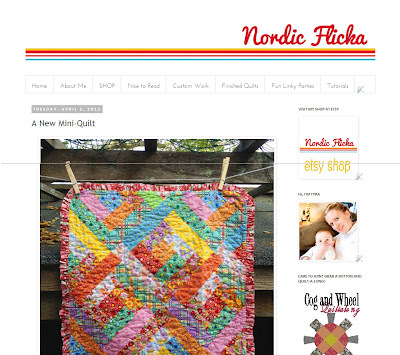 So sorry for any confusion, hope to see you over at Nordic Flicka! I'm a stay at home mama to three sweet little boys and step-mama to a hip and happenin' girly girl. In my past life I was a social worker but have traded it all in to be the CEO of Casa de Taff and I wouldn't trade this opportunity for anything. I started this blog to share with friends and family around the country (and world, HELLO FINLAND AND Nottingham!) little slices of our lives as our little family starts out on this adventure we call family life.